Hermosa Beach, California Car Accidents Attorney with Over 40 Years of Experience and Success Rate Greater Than 95%! Hermosa Beach, Los Angeles, California car accidents cause serious injuries, significant property damage, and sometimes even fatalities with wrongful death claims. Our Hermosa Beach wrongful death, car accident personal injury claims lawyers and law offices have better than a 95% success rate in handling personal injury cases in Hermosa Beach, Los Angeles and all throughout California. With over 40 years of experience in handling thousands and thousands of car accident, bicycle accident and other accident injury claims, we are a group of accident claim lawyers offering our legal services for Hermosa Beach, Manhattan Beach, Redondo Beach, Marina del Rey, Inglewood, Lawndale, Torrance, West Los Angeles and other astounding places in California. Our expert car accident injury lawyers know how to handle car accident cases, from getting damaged cars towed and repaired or replaced when a total loss, free rental cars, immediate medical care without payment due until your case is resolved, to maximum settlements while providing legal advice and clear explanations of the claims process all along the way. To see what others have to say about our accident attorneys and law offices, please see our testimonial section. There are many time rules (including the California statute of limitations to settle or file suit) and procedural rules (e.g., in car insurance policies, the California DMV, etc.) so please do not wait. Please do NOT risk making a mistake or blowing a time deadline. We receive several calls a month after the California statute of limitations has passed when its too late to pursue an accident injury or wrongful death claim. Please do NOT let that happen to you and please contact us now at 818-222-3400 or 1.866 INJURY 2 (after hours just dial “1”) for your FREE & CONFIDENTIAL consultation and case evaluation. Medical Care: Personal injury car accidents in Hermosa Beach, Los Angeles and elsewhere often leave victims dealing with serious injuries that require regular medical care and physical therapy. Our Hermosa Beach, CA lawyers help clients obtain medical care, including doctors, physical therapists, specialists such as orthopedic and plastic surgeons, neurologists, dentists and psychologists, usually without any payment until the claim is resolved. Moreover, clients can seek assistance for medications, prescriptions, and X-Rays, including MRI and CT scans, usually with no payment due until your claim is resolved. 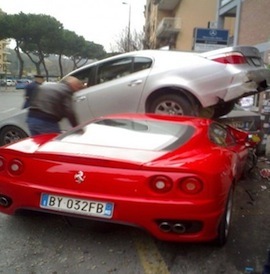 Vehicle Repairs: Hermosa Beach and Los Angeles car accidents can cause heavy damages to cars, trucks and motorcycles. Our Hermosa Beach car accident lawyers and law offices help you with vehicle repairs, storage, towing; and if required, free car rental and total loss settlements. Transportation to Doctor: Our Hermosa Beach car accident lawyers assist clients in finding doctors, arranging appointments and, whenever required, arrange transportation for injured clients to and from the hospital, their medical clinic and other doctor and physical therapy appointments. Cash Advances/Emergency Loans: Hermosa Beach car accidents can exhaust your finances especially with unexpected medical bills and added expenses to take care of at a time when you may miss work and suffer a loss of earnings and income. Our experienced Hermosa Beach car accident lawyers and law offices can assist you in receiving loans and advances to cover those additional expenses. If you or any of your family has been involved in a Hermosa Beach, Los Angeles or California car accident or any motor vehicle collision, call us right now for your FREE & CONFIDENTIAL car accident personal injury consultation. Simply go to our contact us form and tell us about your car accident case. You can look through our lawyer profiles and get to know more about our experienced and well-qualified lawyers in order to see why you should choose us to get your case resolved. Furthermore, learn about the formalities, procedures, and rules associated with Hermosa Beach, Los Angeles and California personal injury and wrongful death claims by visiting our Car Injury Accident Web Site; and for more specific help about your own particular car accident injury case please call us now at 818-222-3400 or 1.866 INJURY 2 (after hours just dial “1”) for your FREE & CONFIDENTIAL consultation on your car accident injury case. Remember, our car, bicycle, motorcycle and truck accident injury lawyers offer FREE legal consultations and evaluations on Hermosa Beach, Los Angeles and California accident injury & wrongful death accident claims and take our clients’ cases on a contingency fee basis, which simply means there is NO fee to you until your case is resolved! Hermosa Beach is a beachfront city in Los Angeles, California. It has a population of 19,506 as per the 2010 census. 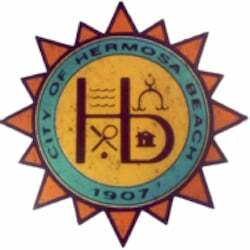 The City oF Hermosa Beach is located in the South Bay region of the greater Los Angeles area and is one of the three (3) great Beach cities. 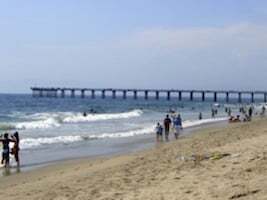 Hermosa Beach is bordered by two other beach cities named Manhattan Beach to the north and Redondo Beach to the south. It covers a total area of 1.427 square miles. The city’s beach is popular for sunbathing, surfing, paddle boarding, beach volleyball and bars. It is a great place to ride bicycles and go rollerblading parallel to the beautiful coastline of the Pacific Ocean. In fact, some members of our law offices used to enjoy riding their bikes along the pathway by the beach and ocean, stopping for lunch at one of the many beachside restaurants. In the early days, Hermosa Beach like so many of its neighbouring cities was one vast sweep of rolling hills covered with fields of grain. It has a moderate climate with sunshine all throughout the year. Hermosa Beach is home to the AVP Hermosa Beach Open tournament and several amateur CBVA volleyball tournaments during the year. Hermosa Beach has its own elementary school and middle school, but high school students are served by either Manhattan Beach or Redondo Beach. Hermosa has five (5) elementary schools and one junior or middle school. Some of the notable people who have resided in Hermosa Beach are Jason Acuna, Jack Black, Carson Daly, Ted Coombs and a few more. Over 40 years of experience and excellent membership with California State Bar. Served as Chairman of the Civil Litigation-Tort Section of Westwood Bar Association in nearby West Los Angeles. Graduated Phi Beta Kappa from UCLA, which is the Oldest Academic Honor Society in the United States. Selected Top Lawyers In California (Based on Highest in Ethical Standards & Professional Excellence). Having better than 95% success rate in personal injury and wrongful death accident claims. For an easy, free and confidential consultation, fill-in the details in our contact us form and let us help you with your Hermosa Beach, CA car accident or any other accident injury claim. As you see, we offer an absolutely FREE & CONFIDENTIAL meeting or consultation. There is NO obligation. Let us show you what we can do to help you and earn your trust and business. We want to be there to help you now and in the future. Our accident lawyers and law offices work on a contingency fee for our services on accident cases, which means there is NO FEE until You WIN, so you do not need worry about money! We look forward to helping you!